Recognizing the best of the best in quality creative and strategic business-to-business communications, Houston’s Business Marketing Association (BMA) honored 2020 Exhibits for B2B marketing excellence at their 27th BMA Lantern Awards Ceremony. Joining Houston’s creative leaders, 2020 Exhibits celebrated at the Lantern Awards ceremony, winning six awards including two of the top honors, as Lantern Award winners. 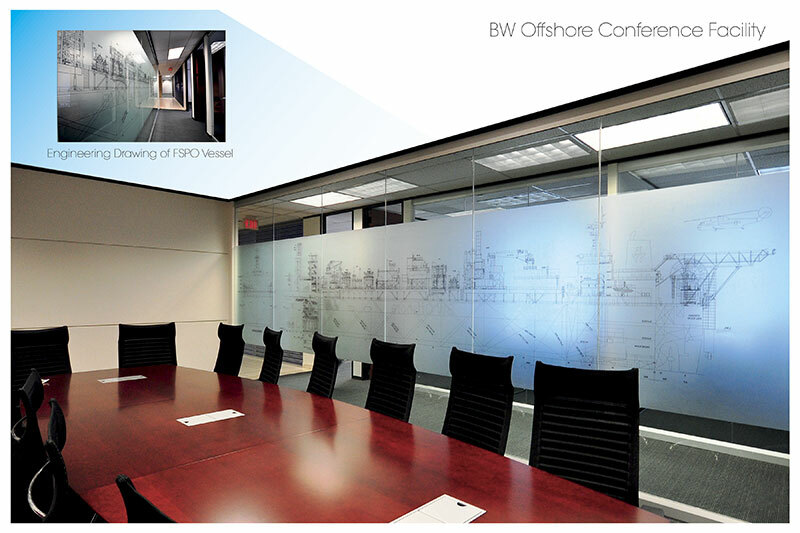 2020 Exhibits earned a Lantern Award in the Large Tradeshow Exhibit category for their work with EXPRO, entitled EXPRO Celebrates Innovation at OTC2014. 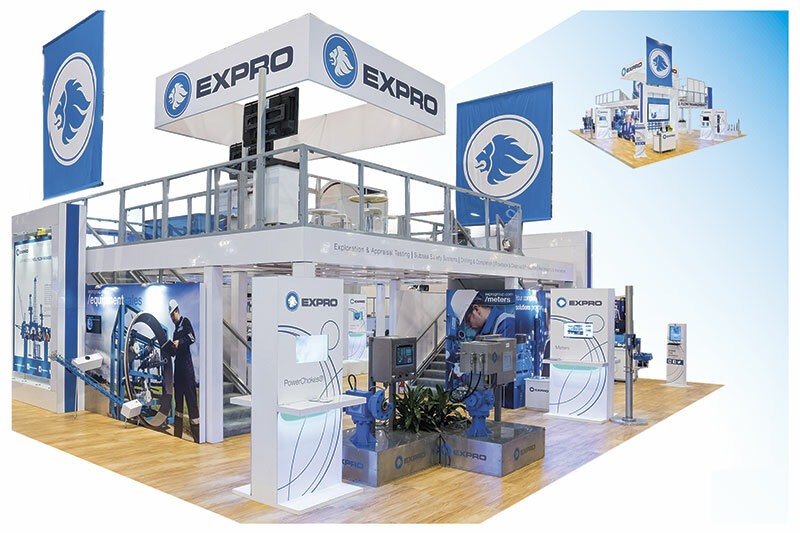 As a leading international oilfield service company, EXPRO challenged 2020 Exhibits to showcase their full range of new innovations, technologies and solutions and celebrate the EXPRO brand, showcasing their 40-year journey. Mission accomplished: Projecting a bold presence with a two-story open and bright structure, the award-winning exhibit environment was anchored by an open and inviting reception area with a 90” multimedia screen backdrop, showcasing the EXPRO brand and 40-year journey. 2020 Exhibits earned a Lantern Award in the Small Tradeshow Exhibit category for their work with Santrol, entitled Go Farther: Santrol at SPE Hydraulic Fracturing Conference. As a leading supplier to the oil and gas industry, Santrol, a Fairmount Minerals company, sharply focuses on maximizing their expertise, imagination and knowledge to deliver game-changing products to the market. 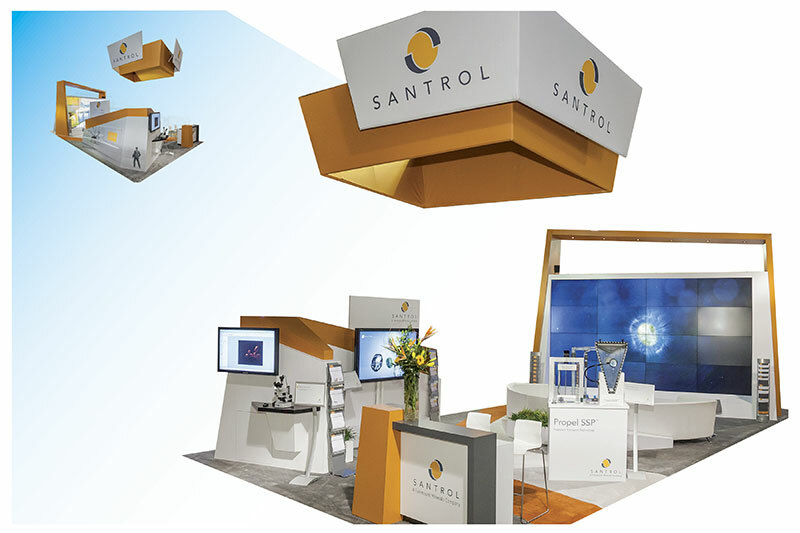 It is with this exacting creative imagination and precision that Santrol challenged 2020 Exhibits to design and execute their powerful and dynamic SPE Hydraulic Fracturing Conference (SPE) exhibit experience. 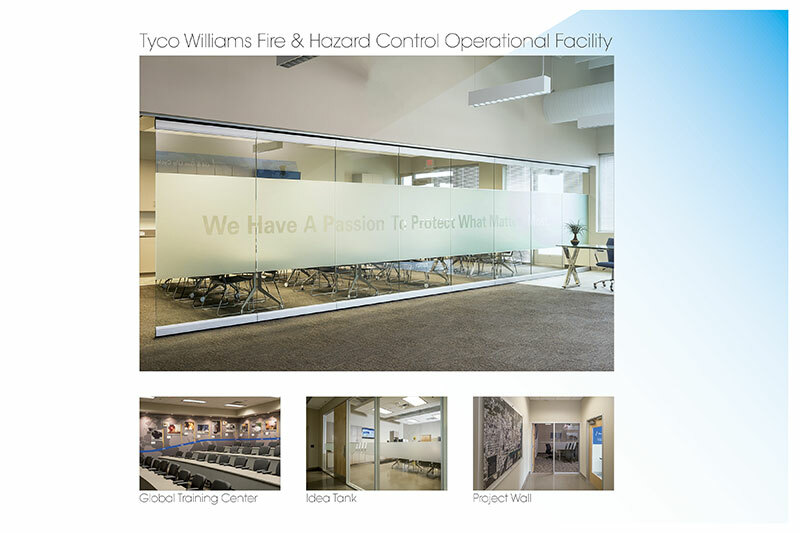 2020 Exhibits also earned Awards of Excellence recognition in the Fixed Installation category for their work with BW Offshore and the Tyco Williams Fire & Hazard Control Facility. 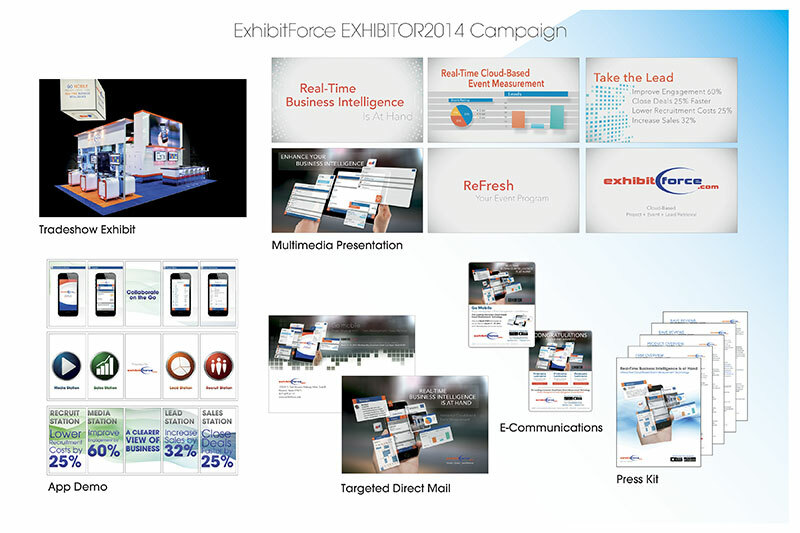 In the Total Tradeshow Campaign category, 2020 Exhibits earned the Award of Excellence for their Go Mobile: ExhibitForce@EXHIBITOR2014 campaign. 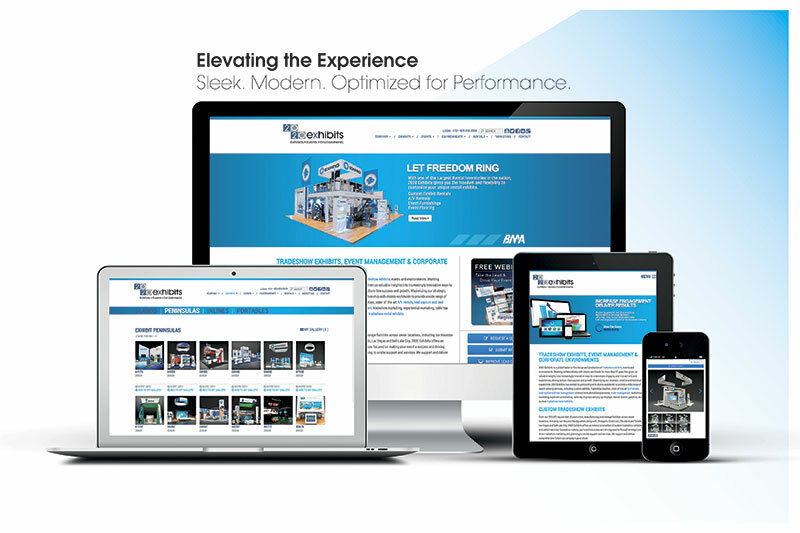 The Award of Excellence was also earned by 2020 Exhibits for their responsive website www.2020exhibits.com, which is sleek, modern and optimized for performance.